According to preliminary national estimates from Nielsen, “Empire” averaged a 5.7 rating/16 share in adults 18-49 — the best same-night score for a regularly scheduled broadcast drama since “Grey’s Anatomy” in October 2009 — and 14.2 million viewers overall. It was up 6% in the demo and 2% in total viewers from last week. “Empire” has now grown seven consecutive weeks in total viewership since its Jan. 7 premiere: 9.90 million (Jan. 7), 10.32 million (Jan. 14), 11.07 million (Jan. 21), 11.35 million (Jan. 28), 11.47 million (Feb. 4), 11.96 million (Feb. 18), 13.02 million (Feb. 18), 13.90 million and now a preliminary 14.2 million. And in adults 18-49, it’s been up seven times in those eight weeks: 3.8/11, 4.0/12, 4.4/13, 4.3/13, 4.6/14, 4.8/15; 5.2/15; 5.4/15; and now a preliminary 5.7/16. Compared to its premiere, Wednesday night’s ninth episode was up 50% in 18-49 (5.7 vs. 3.8) and 43% in overall audience (14.2 million vs. 9.9 million). 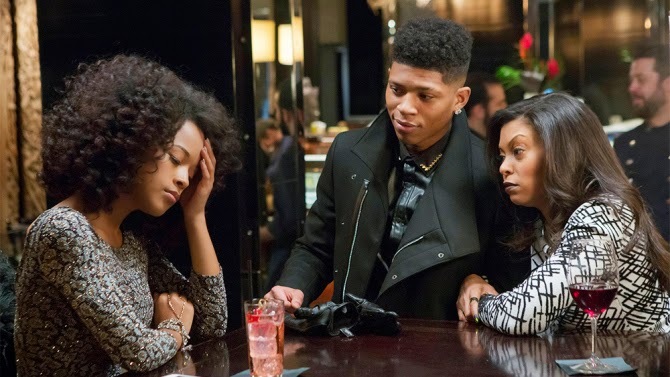 With the exception of ABC’s “Modern Family,” no other Wednesday show could generate even half as many young adults as Fox’s “Empire.” And in adults 18-34 and women 18-34, “Empire” more than doubled every series (including “Modern Family”). Last night’s 5.7 rating in 18-49 for “Empire” puts it ahead of the season premiere of CBS’ “The Big Bang Theory” as the season’s top-rated regularly scheduled broadcast. The last broadcast drama to do a higher same-night rating in its regular timeslot was ABC’s “Grey’s Anatomy” in October 2009. “Empire” grew again last night despite a season-low lead-in from “American Idol” (2.1/7 in 18-49, 8.8 million viewers overall), which was down a big 0.6 from last week and finished behind both the ABC comedy hour and CBS’ “Survivor.” Impacting “American Idol” was a special two-hour “best of the blind auditions” episode of NBC’s “The Voice” (2.1/6 in 18-49, 8.4 million viewers overall). For CBS, “Survivor” (2.3/7 in 18-49, 9.9 million viewers overall) came within a tick of its 90-minute premiere of a week ago and won its hour in 25-54 (tie) and total viewers; it had especially tough reality competition this week, with “The Voice” joining “American Idol” in the opening hour. “Criminal Minds” followed at 9 p.m. (1.9/6 in 18-49, 10.5 million viewers overall), matching its season low set with its most recent original of three weeks ago. Closing the night for the Eye, “CSI: Cyber” averaged a 1.8 rating/5 share in adults 18-49 and 10.3 million viewers overall — retaining nearly all of its “Criminal Minds” lead-in and winning its hour among the major networks. “Stalker” opened to a 2.0 demo rating and about 9 million total viewers, but “Criminal Minds” was considerably stronger in the preceding hour. ABC’s comedy block continues to perform well, and likely benefited from the reality glut opposite it. “The Middle” (2.2/7 in 18-49, 8.3 million viewers overall) bounced back 0.2 from last week and tied with “Survivor” for the 8 o’clock half-hour’s 18-49 lead, and “The Goldbergs” (2.5/8 in 18-49, 7.9 million viewers overall) also won its half-hour and matching last week’s season high. Up against “Empire,” “Modern Family” (3.4/10 in 18-49, 9.6 million viewers overall) and “Black-ish” (2.3/6 in 18-49, 6.7 million viewers overall) were in line with last week and placed a solid second in 18-49. From 8 to 10 p.m., the ABC comedy block was up 18% from last year (2.6 vs. 2.2), with “Modern Family” holding steady and the other three half-hours showing improvement. CW aired a repeat “Arrow” (0.3/1 in 18-49, 1.4 million viewers overall) and an original “The 100″ (0.5/1 in 18-49, 1.5 million viewers overall). Preliminary 18-49 averages for the night: Fox, 3.9/12; ABC, 2.2/7; CBS, 2.0/6; NBC, 1.8/5; Univision, 1.2/4; Telemundo, 0.6/2. In total viewers: Fox, 11.5 million; CBS, 10.2 million; ABC and NBC, 7.2 million; Univision, 3.1 million; CW, 1.5 million; Telemundo, 1.4 million. Brutal WWE Moves On Girls - THE REVENGE! Fabolous - "Shook Ones II Freestyle"